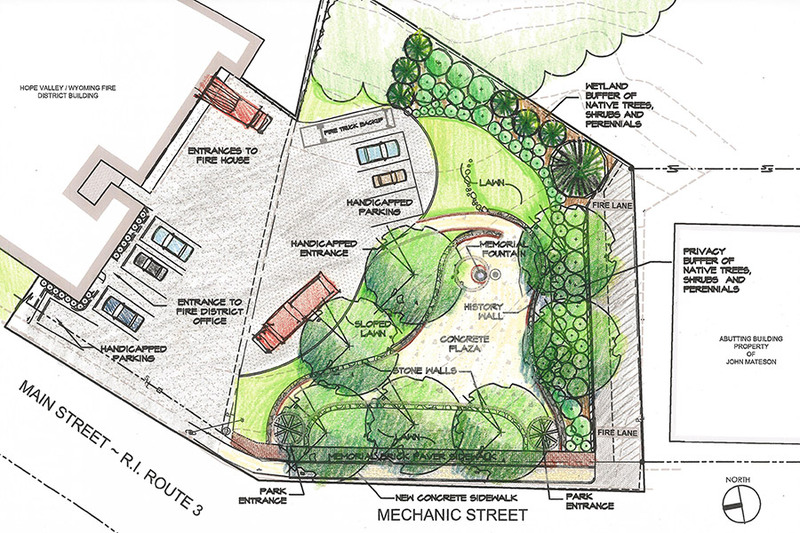 Creating a neighborhood park to revitalize a rural community. 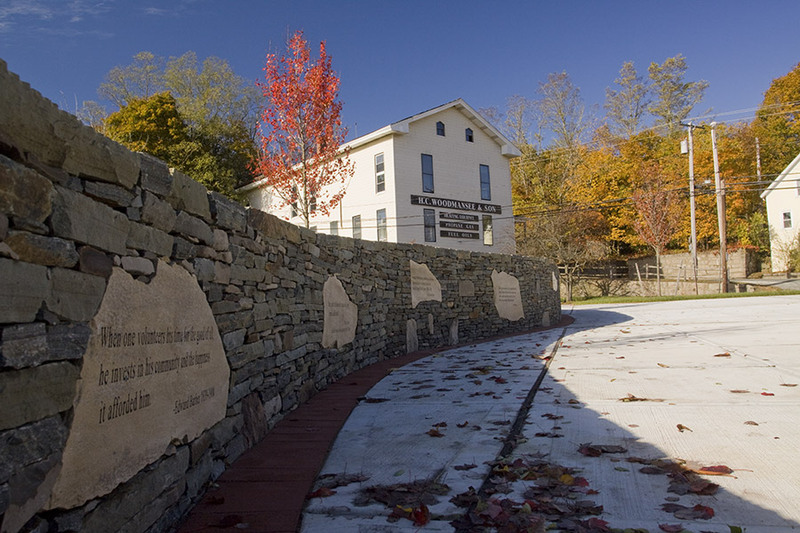 The Depot Square Park project is part of the revitalization effort for the village of Hope Valley in the town of Hopkinton, Rhode Island. 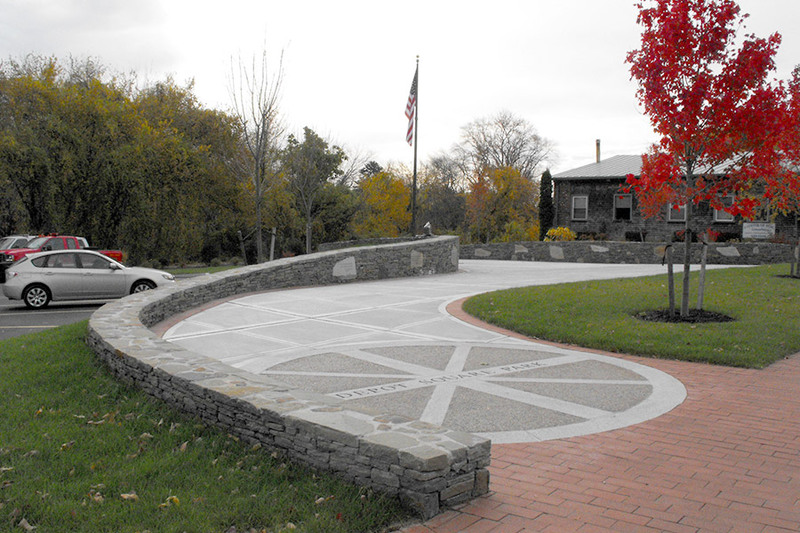 Landscape Elements LLC was the prime consultant on a team that included site-civil engineers, wetland and environmental scientists, traffic engineers and a project sculptor. utilizes an historic cast-iron urn which was once part of an 1880’s horse trough. The trough was located near the current site at the former train depot. 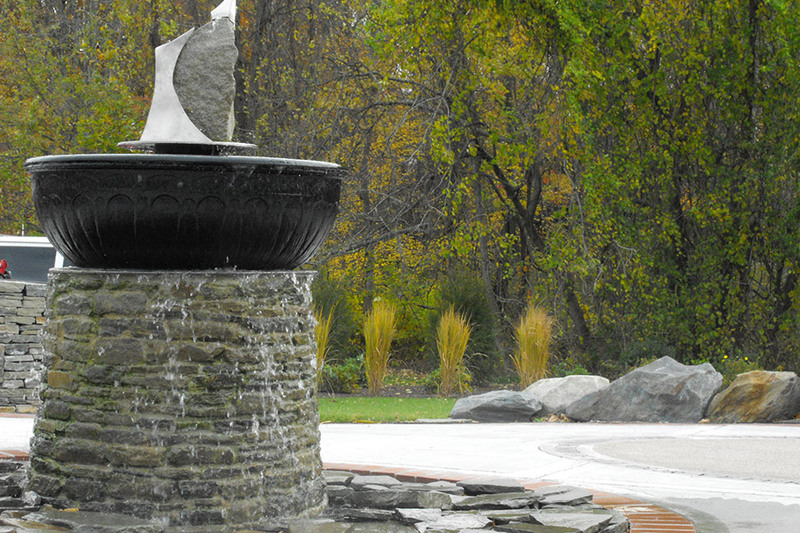 The fountain feature design as well as the design of the stone wall were developed in conjunction with the project sculptor, Ana Flores. There was a high level of community involvement in the selection of site elements to meet the needs of the fire district as well as the goals of the community incrating a neighborhood green space as part of the Hope Valley Neighborhood Revitalization Program. 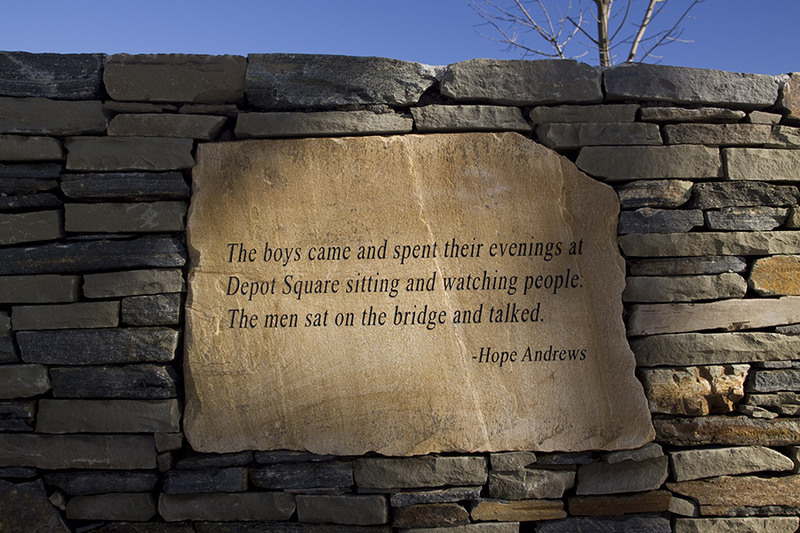 The design integrates village history into details of site elements as well as quotes from residents engraved into the ‘history wall.’ Overall the project reflects the history of the village of Hope Valley while enhancing the charactor of main street. Winner of a 2009 Merit Award for Design/Built Work, Municipal and Public Spaces, by the CT chapter of the American Society of Landscape Architects.